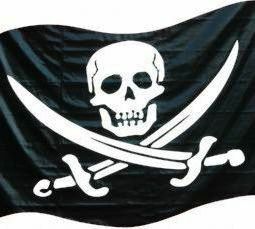 Detroit's Warrendale neighborhood will be invaded by pirates next week. The Edison Branch of the Detroit Public Library (18400 Joy Rd.) 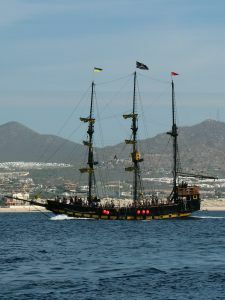 will host two pirate themed special events next week for neighborhood children. Their first event one is a summer story time with pirate themed stories entitled Aaargh! You Ready for a Story. It will happen on Tuesday, July 6 from 3 - 4 p.m. at the library. This event is intended for children. On Wednesday, they will follow that up with Pirate Craft. This includes summer reading program reports as well as pirate themed crafts from 2 - 3 p.m. It is intended for children and tweens. While these pirates presumably prefer Faygo to rum, I still won't let my treasure chest out of my sights. I encourage everyone else in the Warrendale neighborhood to exercise a similar degree of caution during this pirate invasion. How nice! I'll make sure to add this to our block newsletter.